For many, the end of summer means that it’s time to move! 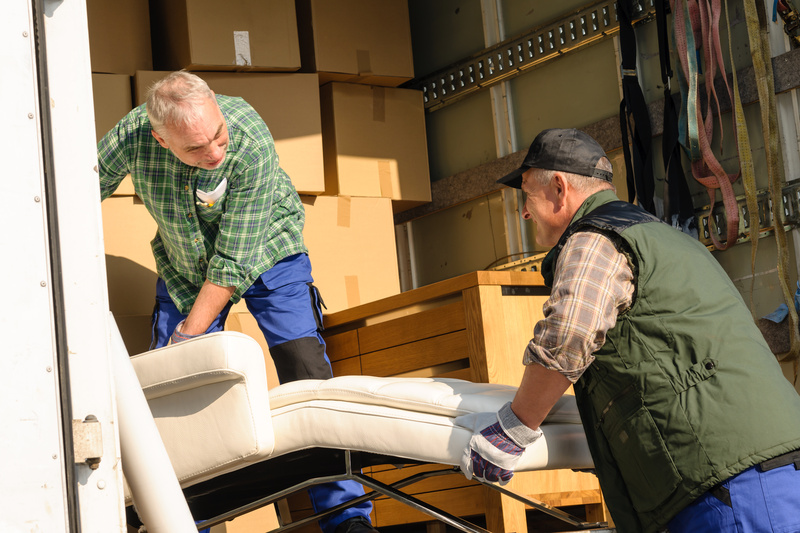 Whether it’s helping to relocate a whole home or helping a college student move into their dorm, this is rarely a relaxing experience, and many people will carry sofas, mattresses, dressers, and more from one unit, down a tight staircase and into an over-stuffed van, into their new home. Not coincidentally, many people complain that this process of moving furniture will cause flare-ups of back pain, knee pain, shoulder pain, wrist pain, you name it! Why is this? They weren’t physically prepared for the demands of moving, so their body had to compensate, using joints that should be used for stability for mobility instead. Barring any orthopedic issues that should exclude someone from helping with a move, there’s a simple fix that will pre-empt these unnecessary injuries: training (especially training in-home). Here we’ll provide a guide for a simple routine with no specialized equipment needed to physically prepare your body for the acute stressors that come with moving large, awkward furniture through small spaces. For an individualized consultation, book a strategy session with one of our professional coaches. First, why is in-home training especially suited for preparing to move? Most people in the fitness community and some people in the general public are aware of the concepts of “transfer of training,” the principle of “specific adaptation to imposed demands (SAID),” and “dynamic correspondence,” or for the lay population: “why should I care about doing this exercise?” Trends come in waves in the fitness and wellness industry and after the aerobics movement of the 70’s and 80’s came the bodybuilding focus of the 90’s and early 2000’s with gyms filled with muscle isolation machines. In the last 20 years, these machines have received a lot of flack because they aren’t “functional,” (air quotes here because no one can agree on what functional really means). Enter Crossfit, TRX, doing compound movements such as squatting and deadlifting, and strongman training, all with the intention of becoming more useful in daily life, since you’re rarely in a position where you need to immobilize your entire body except for your lower arm and pull your hands to your face (seated bicep curl isolation machine). All are good for particular people in certain situations, but for the same reason a powerlifter needs to squat, bench, and deadlift, or a basketball player needs to play basketball to have the greatest carryover, average people would do well to train with implements they already have at home, to physically prepare them for handing objects in their home. In other articles we’ve covered how training at home also makes sense for people short on time, looking to save money, or anxious to go to the gym to name a few reasons. *Note: before beginning a new exercise routine we always recommend consulting your physician. While this article is a general guide, specialized coaching is preferred for getting the optimal results for you given your unique situation. Both a general warm-up (increasing core body temperature) and a specific warm-up (performing movements to prepare for the demands of what you are about to do) have been shown to decrease the risk of injury, improve performance, and lower difficulty. Your core muscles function to stabilize your torso, prevent excessive bending and twisting, as well as to provide a sturdy trunk from which you can display force through your arms and legs. If your core is weak or fatigued when lifting a sofa, your lower back muscles and spine will pick up more slack than they can handle and may lead to injury and pain. By building a strong core, you’ll reduce your risk of low back injury. While maintaining a stable core, hips engaged, and controlled breathing, extend your arms forward, increasing the space between your hands and feet. Similar to push-ups, elevate your hands on a higher object such as a stair, or a stable chair. Unlike the machines mentioned earlier, when you’re handling awkward or heavy furniture you’ll need to recruit a sizable number of the muscles in your body, and in non-linear ways. First, the suitcase step up will require you to hold a weight in one arm opposite of the leg you are stepping up with, recruiting not only your leg muscles to step, but also your anti-rotation core muscles to remain stable. Performing single arm backpack rows will develop your upper back and arm strength, allowing you to handle higher loads without putting yourself at risk by compensating with your low back. The isometric holds (aka not moving) for the push up hold and pinch grip hold will develop your ability to absorb force and maintain tension through your upper body pressing muscles and your grip. Pinch gripping in particular is often neglected in daily life and will help you hold onto sub-optimal angles. As a side effect, you’ll also develop a savage handshake! You’ll grab a 2-inch thick textbook and in one arm squeeze hard to hold on! The better your conditioning level is, the easier time you’ll have going strong for a longer time, and also you’ll be able to recover faster when you do need to take a break. By performing intervals of higher intensity pushes separated by rest, you’ll achieve improvements in aerobic conditioning in less time than traditionally required for steady state cardio, like running on a treadmill. As quickly as you can, run up and back down one stair step, alternating your feet. Stretching is proven to improve flexibility, which when limited and put to the test, can cause compensation and injury. Here we’ll recommend a few common stretches that help with common inflexibilities, but as with all of this, schedule a time to talk with a coach for more specific suggestions. *Hold each position for 5-10 deep breaths, breathing in through your nose, followed by a long, slow exhale as you relax into a deeper stretch. Now you have a useful guide or starting point for physically preparing yourself to move, and if you want a more comprehensive guide to training in-home, pick up your complimentary copy of our eBook, The Ultimate Guide to Home Workouts by filling out the form below! For more specific suggestions on how to get yourself ready for the physical demands of your next move, schedule one of the remaining times for a free consultation with one of our coaches!